Do You Really Owe What They Say You Owe? Make Them Prove it! When debt collectors come knocking, you need to be ready for them. You can get ready by understanding your rights as a consumer. You have the right to stop harassment by a debt collector and you have the right to dispute the debt they claim you owe. In fact, I recommend that you exercise your right to dispute in almost every situation. It can’t hurt—and it may save you time and money! If they can’t verify it, you don’t owe! After a debt collector calls you, he has five days to send you a letter telling you how much you owe, the date of the original debt, the name of the original creditor, and what you should do if you think there is a mistake. If any of this information is missing or looks fishy, you have 30 days to dispute it in writing. If the debt is old, they can’t collect! Debt collectors are often trying to collect an old debt. If they can’t verify the date or the original debt is more than four years old, they can’t sue you for it. Watch out, though—if you pay even a penny towards old debt, the statute of limitations starts over and it’s open season on suing you for the whole amount. It could keep the debt off your credit report. Once you dispute a debt, the debt collector has to cease all collection activity and cannot report it to the credit reporting agencies (CRA). If he has already reported the debt, he must inform the CRA that it is under dispute. 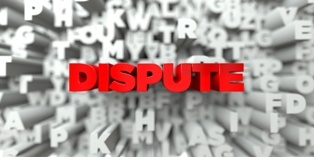 The bottom line is, when you dispute a debt with a debt collector, you are challenging him to prove it. Because this debt may have already passed through several hands and information has been lost along the way, the debt collector often can’t prove it according to the law, and you can get out of it. If Your Rights Have Been Violated, Call Me! Debt collectors work in bulk—they have thousands of debts to collect and they are banking on the fact that someone won’t respond and they can sue him. For some people, simply responding to the debt is enough to stop the process. If that’s not working for you, call me and tell me what’s happening. If I can help, I will! Who Is Considered a Debt Collector Under California Law?